IPA is the most popular style of craft beer and for good reason. We can’t get enough of those hops. But while most of us know a bit of history behind the style, there’s much more to be learned. 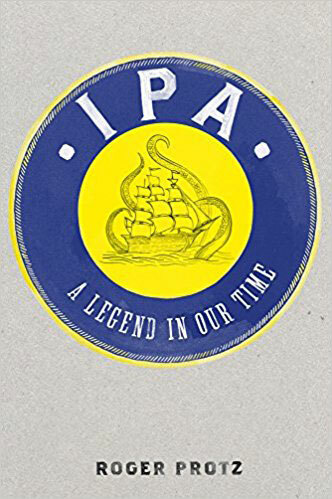 IPA: A Legend In Our Time by Roger Protz explores this beloved beer in great depth. Check it out. The original IPAs were created to weather the long journey to India, but there’s much more to the story than that quick history. In IPA: A Legend In Our Time, author Roger Protz gives a detailed look at how the style first began, the evolution, and much more. Roger first explores how the IPA has recently regained glory as the most popular style in the craft beer world. Then it’s on to the history of the style. How it evolved with time and how it’s brewed. Classic recipes that first defined the style are examined in good detail, leading to a better understanding of IPAs from their beginnings, until today. With the history lesson taking up the first third of the book, we then move into profiles of commercial IPAs for the remaining 2/3 of the book. These profiles are arranged by country of origin and include a short description, history, and tasting notes on each brew. While they’re interesting at first, and may be useful for those looking for brewing inspiration, the beer profiles wear thin after the +20th page of them. With nearly 200 pages of beer profiles, you’re likely to find yourself (as I did) taking a pass on most of them. It would have been much more interesting to have investigated the current climate for IPA in each nation, rather than just beer profiles native to those lands. Though the beer profiles quickly became boring, the history and level of detail explored in IPA: A Legend In Our Time made for an interesting read. If you’re a hop-lover, it’s sure to be worth the time to learn more about the origins of our favorite beer style. Feed your beer knowledge and grab a copy of IPA: A Legend In Our Time from Amazon today. Be sure to enjoy it with a great IPA in hand.